Pinterest is one of those new, shiny social media channels that everyone is telling you to get on, RIGHT NOW, but then if you're like many of us, you click on pinterest.com and after a few seconds feelings of overwhelming sadness come over you. What is going on here? It feels like a foreign land, with strange rules, and what's the point anyway? I have better things to do with my time. At least, that's how I felt at first. But if you can get over that inital shock, you'll find that it's a fun place to share creative ideas. It's equally a great place to get DIY ideas for your home. Without further ado, here are some home DIY ideas from Pinterest...you know, just in case you need some more items on your Honey Do list. 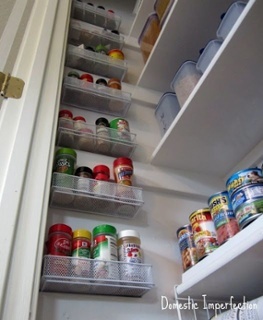 Purchase some pencil organizers from The Dollar Tree and screw them into your pantry for extra storage. Simple, cheap, and effective! 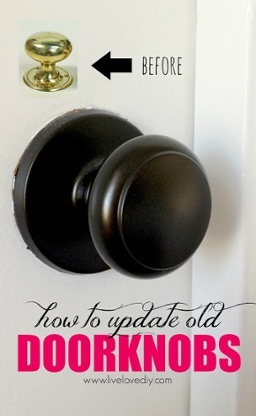 Spraypaint your outdated doorknobs with 2 light coats of high-quality spray paint (be sure to pick one that's made for metal). Let them dry at least 24 hours before putting them back on the door. It's a cheap(er) alternative to purchasing all new knobs. Put a circle cutter set to your desired diameter on contact paper, and go to town! Place sticky notes on the wall where you might like to put them, then stick away. It's a fun way to add some pizzaz an office or a bedroom! 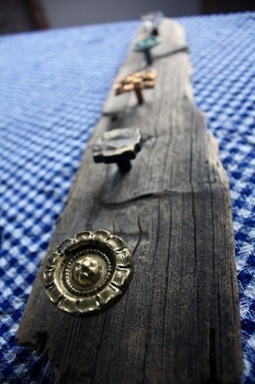 Nab an old piece of wood and add some random knobs. It makes for a rustic, chic holder for scarves, necklaces, or belts. What a great way to display your accessories! Purchase a rubber door mat from the Dollar Store and spraypaint it white. 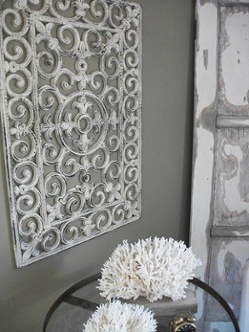 With a touch of sanding, you can give it a distressed look. It's cheap and cute! Even if you don't claim to have a crafty or creative bone in your body, Pinterest makes it easy to spruce up your home on a dime. What are some of your favorite home DIY projects? Post comments below!